Mother’s Day gives everyone a good excuse to spoil their Mums with cards, chocolates and flowers. You may also want to offer something truly personal and unique. 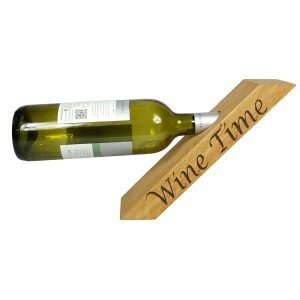 Our Top 5 Personalised Mothers Day Wooden Gifts offer just that. Mothering Sunday falls on March 11th this year, it’s a perfect opportunity to show how much we love our mums and appreciate all that they have done and continue to do for us. 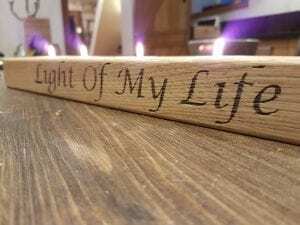 We’ve rounded up the top 5 best value, unique and personalised wooden mothers day gifts. “Mum’s in charge” – she most definitely is. 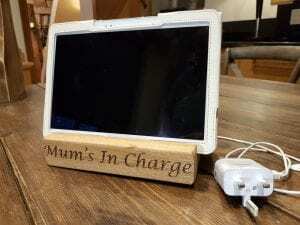 This handy wooden tablet holder is great for placing on the desk to watch movies or holding recipes on the kitchen worktop. A classic gift with the added benefit of personalising it just for Mum: “Mum’s Kitchen”, “Head Chef”, “Best Chef in the World”, “#AwesomeMum”….. the list is endless. 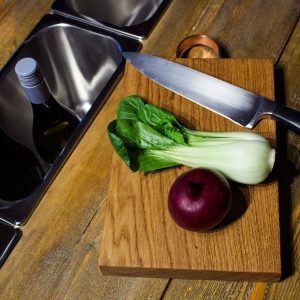 The Chopping Board will last a lifetime and so will your message. If relaxing with candles is her thing then this really sets the scene. Have your very own special message engraved for the best Mum ever! If letting off steam with a glass of wine is more Mum’s style then this clever bottle holder is right up her street. Make sure everyone knows whose bottle it is with your own message. Wine and cheese – Who doesn’t like this classic combination? 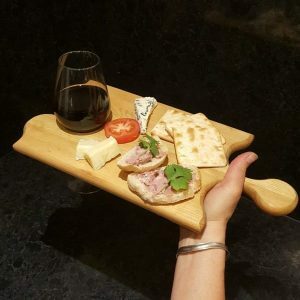 Have a personal touch engraved on the platter to add to the moment.